Award judge Vito Cilauro, award sponsor Frank Di Blasi, Joe Rechichi, wife Teresa Rechichi; , award judge Giovanna Guzzardi, Springvale Italian Senior Citizens Club president Biagio Di Blasio and wife Rita Di Blasio. 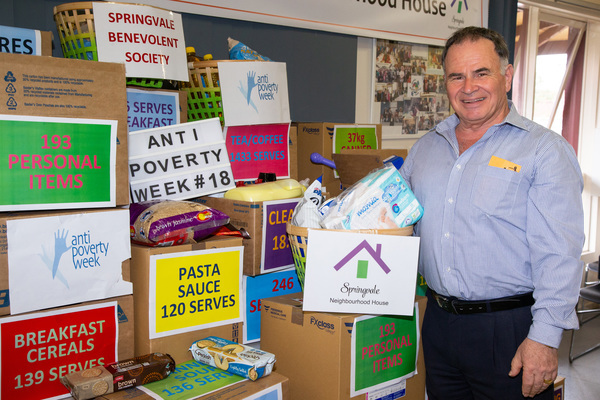 Springvale charity stalwart Joe Rechichi has received lofty recognition from the Italian community for his immense efforts for the elderly, disabled, homeless and impoverished. Mr Rechichi was proudly awarded the glorious 2018 Solidarity Cup, also known as the Coppa della Solidarieta. The trophy is awarded annually to an Italian community member across Victoria for exceptional volunteer work. Mr Rechichi was awarded for 20-plus years of tireless work as Springvale Benevolent Society’s president and volunteer, as well as 30 years coordinating the Springvale Italian Senior Citizens Club. Prior to his award, the surprised 72-year-old retiree hadn’t heard of the Solidarity Cup, let alone that he had been nominated. “You wonder what did I do to be nominated, and how can I fulfil the obligations of the award? It’s hard to think how Mr Rechichi can do more. Seven days a week, he is helping collect and distribute donations, vouchers and food parcels for hundreds of families and individuals in Greater Dandenong. Uniquely, he and the benevolent society volunteers make house visits, delivering goods and checking on their clients’ welfare. “It’s probably more than a full-time job,” he says of his entirely voluntary role. “It’s the sort of work where the more you do, you find there’s more that needs to be done. The demand is ever-growing. About 15 new families a week are added to the benevolent society’s 550-plus client list. He’s deeply troubled by a sharp rise in local homelessness. One recent and typical case is a woman in her 40s evicted from her rental home to make way for a multi-dwelling development. After a total loss of federal funding, the benevolent society is totally dependent on donations. Mr Rechichi says he’s thankful for the help of schools, banks, RSL Clubs, as well as pokies venues Club Noble and Sandown Enterntainment for filling the breach. He defends the latter clubs for their somewhat controversial support. “If they’re prepared to put something in the community, there’s nothing wrong with that. He has no foreseeable plans to hand over the reins. Part of the problem is finding someone prepared to fill Mr Rechichi’s considerable shoes. “I will do it as long as I can. At 17, Mr Rechichi migrated from Italy in 1964. 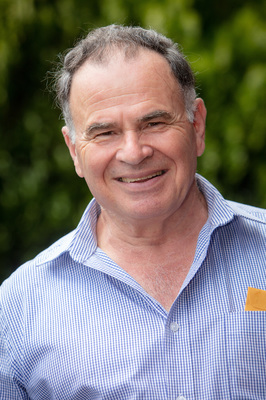 He has previously won City of Greater Dandenong Citizen of the Year, the Premier’s Community Volunteering Award, Rotary Club’s Paul Harris Fellow Award and Sandown Community Superhero Award. Solidarity Cup sponsor Frank Di Blasi said the judging panel was unanimous in its election of Mr Rechichi.